Shah Rukh Khan's next film is one big mystery left for his fans to solve. Many speculations around his next film have been floating around. But as you know it, none of them is confirmed. These speculations are not just limited to Bollywood but also flown down South! As per the reports, he may soon collaborate with Mersal director Atlee Kumar for his next film. These rumors started doing the rounds especially after the duo was spotted at Chennai Super Kings (CSK) VS Kolkatta Knight Riders (KKR) cricket match which took place recently at the MA Chidambaram Stadium in Chennai. Shah Rukh Khan Watching an IPL 2019 Match with Director Atlee!. As per the latest reports, SRK has already liked 2 scripts. One of them is the remake of Tamil blockbuster film Mersal that had Vijay in the lead. A source close to the director, today India Today.in, "There were talks about a possible Hindi remake of Mersal. But, SRK showed maximum interest in another script, which Atlee has been working on for years now. It's an interesting script." It will indeed be a cherry on the cake if these two noted personalities from two different cine-spaces join their hands. 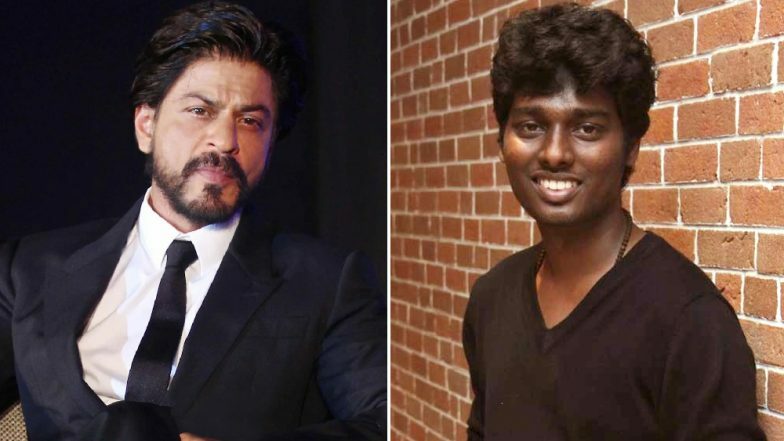 Neither SRK nor Atlee have confirmed anything on these projects yet. There were also reports that King Khan might be seen in a cameo role in Thalapathy 63 which is again a Vijay-Atlee film. Besides these, there is curiosity around his film with Madhur Bhandarkar which will supposedly be a cop drama on Inspector Ghalib. Another one is the much-awaited flick, Farhan Akhtar directed Don 3. Would you love to watch a magnum SRK-Atlee flick?